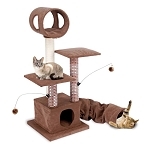 This is for the cat that has everything! 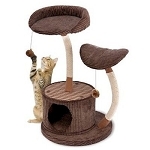 The perfect combination of style, quality, and fun for your cat and home. 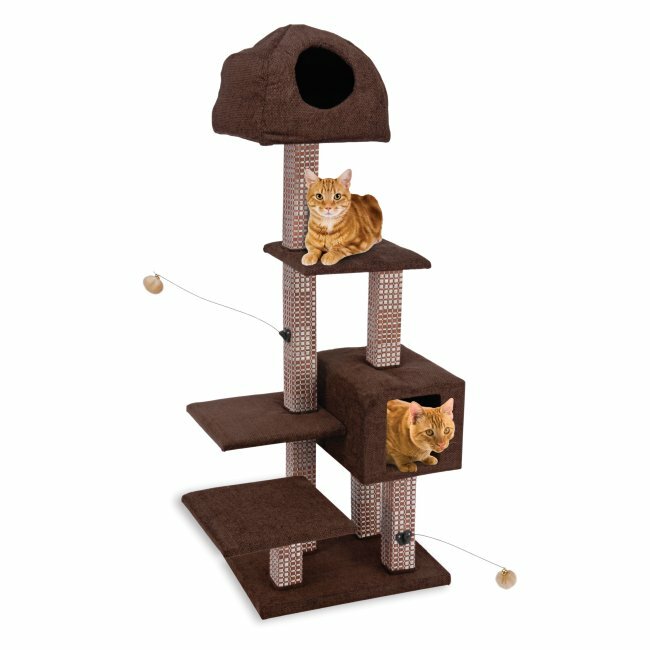 The attractive multi-level design provides a variety of options for play and rest. Features aa dual hide-way and sisal covered bamboo rubbing posts.